The Accessory Queen was founded over 10 years ago after searching for affordable leather handbags in jewel colours for the owners’ personal consumption! She came across a fabulous supplier but needed to buy 8! She took the gamble and promptly took them to her local gym to sell. After an amazing sell-out she realised the gap in the market and continued buying & selling and expanding to other venues and even peoples homes. The natural progression was to the costume jewellery market and she continued her philosophy choosing unusual and vibrant styles. The opportunity to have a shop came her way in the shape of a good friend having a spare room on her first floor of her interior design business. This small room expanded over the next 18 months before expanding into the ground floor of the shop as well. As tough economic times continued in 2012 & 2013 it became apparent that, as much as we all try to fight it, the days of the independent retailer on the high street were sadly numbered and it was time for a serious re-think. The Accessory Queen website was an obvious area to improve and expand on initially. However the buzz of meeting the customers proved too great and in 2015 The Accessory Queen decided to go "on the road". 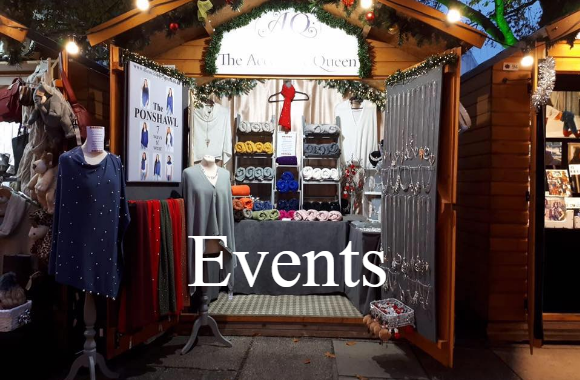 You will now find us at events all over the country with our fabulous range of ladies accessories and Branche d'Olive products ~ go to our 'Events' page to see where we are going to be. 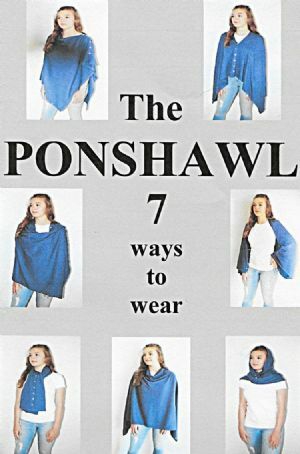 In addition to jewellery, much of which is designed and hand made by The Accessory Queen, we have found a great product that has proved extremely popular ~ The Ponshawl ~ 7 different ways to wear ~ huge range of colours & designs ~ more details are available on the webpage. We hope this website brings everything the discerning lady needs to accessorise themselves. We will help to keep you up to date with all the latest trends and styles we find. We hope you enjoy our website as it continually grows and expands.